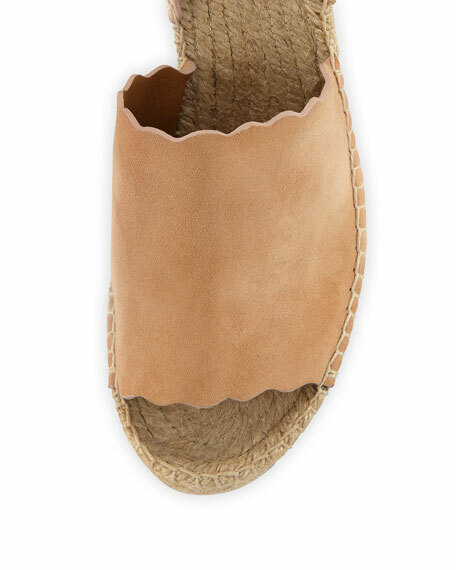 Chloe suede espadrille sandal with scalloped trim. 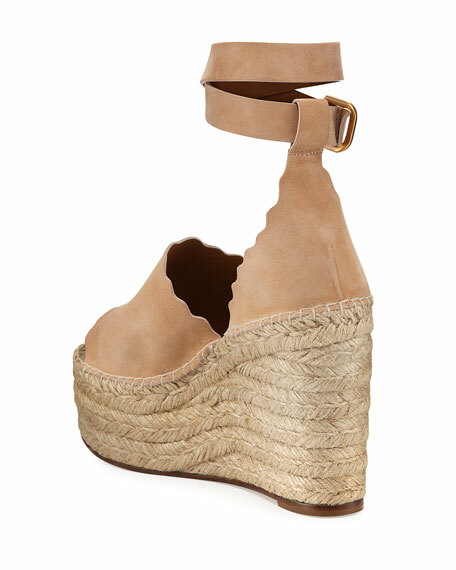 4" braided-jute wedge heel; 2" platform; 2" equiv. Christian Louboutin espadrille sandal in spike-embellished denim and calf leather. 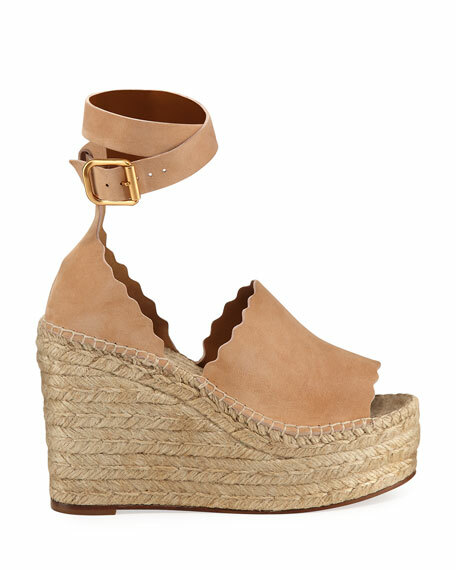 4.8" covered wedge heel; 1.5" braided jute platform; 3.3" equiv. Christian Louboutin espadrille sandal in spike-embellished denim and calf leather. 4.8" covered wedge heel; 1.5" braided jute platform; 3.3" equiv. Strap bands open toe. Adjustable ankle strap. Lightly padded footbed. Signature red leather sole. "Madmonica" is made in Italy. Jimmy Choo soft suede sandals. 4" covered stiletto heel. Looped straps band open toe. Adjustable multi-wrap ankle strap. Leather lining and sole. "Mimi" is made in Italy. Sizing note: Jimmy Choo runs small. We suggest that you order a half size larger than you typically wear.